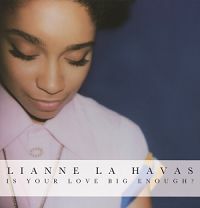 The song Lianne La Havas - Is Your Love Big Enough? is professional recreation. It is not by the original artist. Is Your Love Big Enough? Lianne La Havas Your browser does not support the audio tag. Lost and Found Lianne La Havas Your browser does not support the audio tag.